Fashion creative iron mesh woven fruit basket banana orange storage container bread basket snacks rack. The open top elegant design that seamlessly matches your home decor. keep table clean. Material: Premium iron spray painting.light and durable metal steel mesh net,simple,moderm ,removable. Perfect as vegetable racks,mango containers,apple pear storage,orange,banana trays,etc.fruit bowls,fruit holders cookie organizers etc. 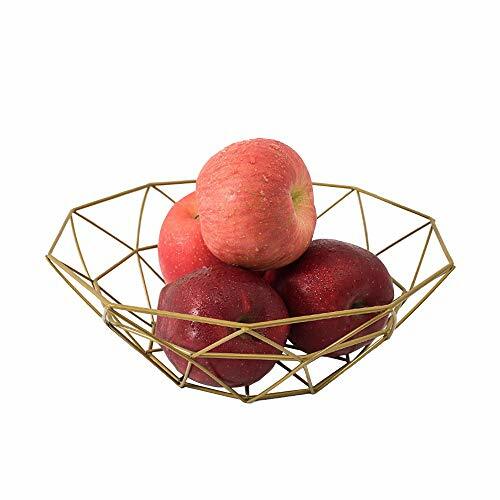 This modern beautiful flower lines wire basket is designed to store and organize a variety of home essentials,perfect for table,desk,kitchen,dining room decorative.storing fruit, guest towels, Great to display fresh fruit ,snack or bread. Package: Included 1*fruit basket; weight: 200g. If you have any questions about this product by CrazyHat, contact us by completing and submitting the form below. If you are looking for a specif part number, please include it with your message.